HOW DOES THE KETOGENIC DIET AFFECT DIABETES? Diabetes is a disease in which the levels of blood sugar (glucose) are very high. This blood glucose is the most used energy source by the body and comes from the food we eat. On the other hand, insulin is a hormone produced by the pancreas that helps this glucose from food enters the cells to be used as energy. However, sometimes our body does not produce enough insulin, does not produce any insulin or does not use it properly; as a result, this glucose does not reach the cells and stays in the blood, causing various health problems over time. Are there several types of diabetes? The main types of diabetes are Type 1 diabetes, Type 2 diabetes and Gestational diabetes, but there are other types as well. Type 1 diabetes. Those who have this variety do not produce insulin; the immune system attacks and destroys the cells produced by the pancreas. This variety is usually diagnosed in children and young people, although it can appear at any age. Patients have to use insulin frequently to survive. Type 2 diabetes. People who have this variety of diabetes do not produce enough insulin or their body does not use it properly. Although this disease can appear at any age, even in childhood; it occurs more frequently in the elderly. It is the most common diabetes. Gestational diabetes. This variety occurs in some women during pregnancy, hence its name, and usually disappears after the birth of the baby. A woman with gestational diabetes is more likely to have type 2 diabetes later on. Diabetes is one of the most frequent diseases. It is said that 1 out of 4 people over 65 have this disease, 90% have type 2 diabetes. Who are more likely to have type 2 diabetes? People who are more likely to have type 2 diabetes are those who are 45 years old or older, those with a family history of diabetes and those with overweight. Women who had gestational diabetes, those with high blood pressure and those who lead a very sedentary life are also good candidates for this disease. What is the relationship between the ketogenic diet and type 2 diabetes? The ketogenic diet is one of the most beneficial food programs for type 2 diabetes. This not only helps you lose weight, but also helps you control blood sugar (glucose). The ketogenic diet consists of following a high-fat diet, moderate in proteins and very low in carbohydrates. By consuming the stored glucose in the body, the body looks for another energy source, body fat. This process is known ketosis. This diet helps control insulin levels, therefore, it is highly recommended for all people who have type 1 diabetes and type 2 diabetes. However, it is always advisable to consult a doctor to avoid unwanted results. How does the ketogenic diet work in diabetes? In a ketogenic diet your blood glucose levels are kept low, which causes the body to look for another fuel (burning stored fats around your waist and thighs). The abundant ketones in your body produce ketosis thanks to the low carbohydrates intake; as a result, you burn fat quickly and safely. For all this, people who are forced to consume insulin will require a lower dose of it. 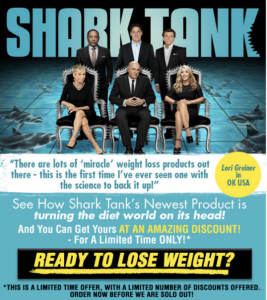 I explain you, the ketone bodies that originate from fat burning, in addition to helping you lose weight, help control blood glucose levels reducing dependence on diabetes medications. As you see, this diet helps you burn fat, which is ideal if you want to lose weight safely and quickly; it is also beneficial for those with type 1 diabetes and type 2 diabetes. 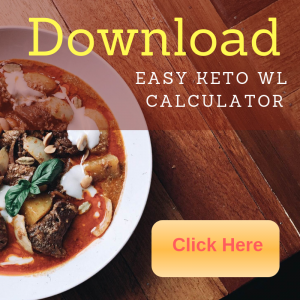 There are different models of ketogenic diet, and although all maintain high fat levels and moderation in protein macro nutrients, some have minimal varieties of carbohydrate intake. Some people argue that the requirement should be 5%; other allow raise it up to 15%. This will depend on your physical condition, weight, activities you perform, and your overall health; that is why it is better to consult a doctor before starting a ketogenic diet. However, they all hold in common that these carbohydrates should come from green vegetables and fibers, but all tubers that contain starch or high glucose are forbidden. This is an example of the carbohydrates you can eat: spinach, broccoli, cabbage, lettuce, healthy fats such as avocado, coconut oil, olive oil, egg folk, and proteins such as blue fish, egg white or farm birds without hormones. Fruits are not recommended in the ketogenic diet; some like strawberries, blueberries and green apples are allowed. It reduces cholesterol and triglycerides levels. It elevates HDL cholesterol levels (good). The ketogenic diet has been tested with positive results in the treatment of diseases such as epilepsy, Parkinson’s disease, some type of cancer, and Alzheimer’s disease or senile dementia. As in any change, it is necessary to go through a period of adaptation, in the ketogenic diet this process is usually difficult and lasts from 3 days to a week, according to each person. This change is particularly hard and many people abandon before reaching the desired results. Remember that your body is going from extracting energy from glucose to obtaining it from body fat. One of the symptoms that you can present is the keto-flu. You will feel really bad, as if you were sick; you will have headaches, fatigue, dizziness, bad breath and strong body odor. This will only last a few days; for some people it can last from 3 days to a week, but others take a little longer to get into ketosis. Is ketosis the same as ketoacidosis? No. Diabetic ketoacidosis (DKA) occurs when a person with type 1 diabetes or insulin dependent type 2 diabetes cannot produce insulin and elevates the amount of ketones in the body, which can lead to a critical state. Diabetes mellitus (when there are high blood sugar levels) is a disorder that starts with insulin deficiency in the body. If this disorder is not treated properly, diabetic ketoacidosis occurs, which can be fatal. Ketosis results from the high concentration of ketones due to the change in diet, the decrease in carbohydrate intake and the change of the body’s energy source. Now, your body fat, instead of glucose, is the new source of energy. Therefore, if you are one of those people dependent on insulin you should be careful in the dose you are taking. It is necessary for your doctor to be aware of your ketone levels and to regulate your insulin dose. People with insulin deficiency (a hormone that metabolizes glucose) cannot perform this metabolic process and glucose stays in the blood, resulting in diabetes. Our body is used to produce the energy from carbohydrates, which are converted into sugar. The ketogenic diet reduces this carbohydrate intake, which forces the body to look for another fuel, in this case, fats. Ketones are produced by metabolizing fats. This decrease in sugar consumption also lowers blood sugar without using insulin, and it is here, precisely, that the ketogenic diet helps patients with diabetes to minimize the symptoms of the disease. 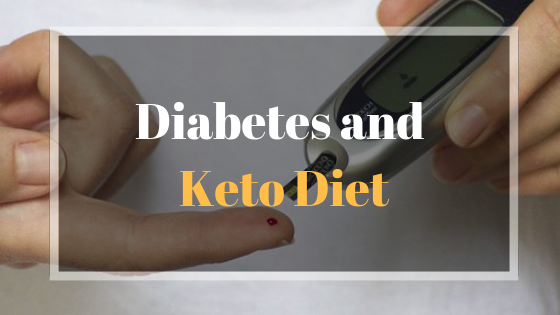 However, being a major disease may be risky for some patients with insulin-dependent diabetes; therefore, it is necessary to consult a doctor before starting the ketogenic diet.